Landsborough Auctions are preparing for their upcoming online bidding auction on July 15th , 2018 to get their bidders stocked up with equipment and accessories. Over 300 Lots are up for grabs via absentee bidding and live bidding on the day of the sale. This auction features a great array of ammo, hunting accessories, reloading equipment, and fishing gear. All lots open for a dollar and sell to the highest bidder. DILLON THE SQUARE DEAL “B”, DILLON PRIMER TRAY, MISC LOADING PRESS ACCESSORIES, EMPTY PLASTIC CONTAINERS. IN 9MM LUGER, COMES WITH 38/357 MAGNUM. This catalog carries over 30 lots of reloading pieces such as dies, presses, ammo, and books. 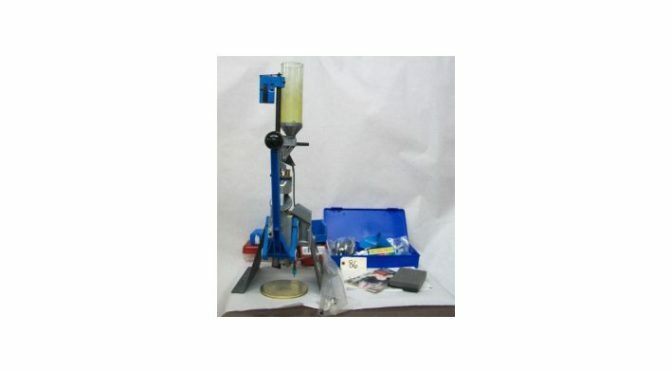 Bidders can search the online catalog for “reloading” to view the selection. Lot 325 is a beautiful 18 ‘ 6 “ Silverline Boat with motor and trailer package. This comes with a 250 inline 6 chev drive with a merc outdrive. There is a kicker motor mount and a roller trailer with a spare. The boat also includes a canvas cover and is available for viewing in both the online catalog and onsite the week leading up to the auction. The live auction beings at 6PM Eastern Time on Sunday July 15th , 2018. Absentee bids will be run through the sale along with competitors joining the live sale. Landsborough will include a live audio feed for bidders in this auction. Everything hammers down to the highest bidder. 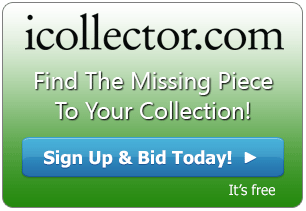 Any questions about the pieces can be sent through email or telephone as listed in the online catalog on iCollector.com.